Australia, a country like no other, boasting a topography that includes desert plains and vast outback ranges to dense rainforests and coastal seasides. Having such a diverse environment mean the needs for roofing materials vary. 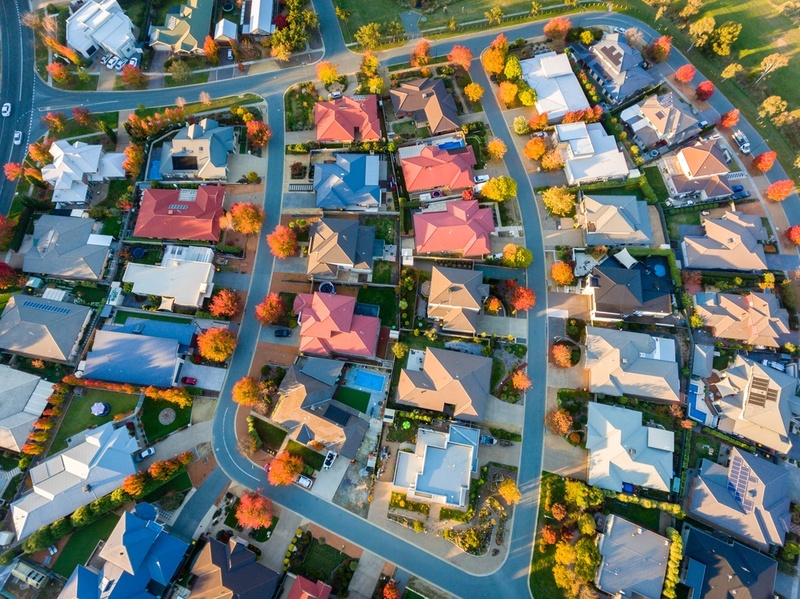 In this post, we want to share a quick guide to Australian Roof Types. The style of your home or building. Australian building codes and state-specific building codes. Council requirements and residential community covenants. The underlayments and anatomy of the roof. Victorian - British styles of housing heavily influenced Australian architects in the 19th century and Victorian homes (named for the period in which Queen Victoria reigned) proved to be the most popular type. Workers Cottage - commonly built in the 19th century when warehouses, wool stores, breweries, manufacturing plants, and timber yards packed our inner-city suburbs, including Brisbane’s West End and Nundah. Queenslanders - first built in the mid-19th century as simple structures made from timber and tin, they were designed with the subtropical climate in mind. With features like an elevated structure, timber frame, expansive wrap-around verandah, and pitched roof, the Queenslander is the quintessential symbol of the Australian lifestyle – embodying hot, humid summers and laid-back indoor and outdoor living. Postwar triple-fronted brick veneer - at the end of World War II, servicemen and women returned home and an influx of immigrants moved to Australia. As family life resumed, childbirth rates soared and families worked to own homes large enough for their growing families. Developers seized the opportunity and the triple-fronted brick veneer house – with its hipped or gabled tile roof – quickly became a commonplace sight in our suburban neighbourhoods. Modern Homes - Modernist houses were considered radical when they first appeared in the early 20th century, but today they are the foundation of the contemporary box-like houses that populate our suburbs and neighbourhoods. The mark of a modern home is having flat roofs or skillioned roofs, reinforced concrete frames, and large glass planes/windows. As mentioned in our previous examples, you may have seen some terms such as ‘hipped’ or ‘skillion’. While architectural style has a huge part in roof design, there are certainly many variations in roof shapes and types. Hip - A hipped roof has three, four or more pitched planes, depending on the shape of the house, and all planes slope downwards from a ridge at the top of the roof. This type of roof is the most popular in Australia. Hipped roofs often offer shady eaves and great strength, which makes them good for high wind rated areas. Gabled - Gabled roofs offer great space for an attic, and are often used in combination with a hipped roof. They are easily recognised by their triangular shape. Flat - while they appear flat, they always have some pitch for water runoff. The benefits of a flat roof are that it's easier to construct, safer if you're going to stand on top of it, and generally more accessible. The main drawback is that this type of roof requires more maintenance than other roofs, largely due to debris gathering on the roof with nowhere to go. In contrast to hip and gabled roofs, they aren’t suited to regions with large amounts of rainfall or precipitation as there's only a small slope to aid runoff. Skillion - a flat roof that has a visibly significant pitch. This is normally a single sloping roof surface, not attached to another roof surface. The term skillion can also be used for a smaller addition to an existing roof, where keeping to the same slope (roof pitch) puts the skillion roof lower than the ceiling height of the main structure. In this case, even though the main roof has a flat ceiling, the skillion part will have a sloping ceiling line to maximise ceiling height. One modern architectural option is to use skillion roofing on a multi-level home to create unique shapes from the home's exterior. Butterfly - two skillioned roofs with a box gutter in the middle. A butterfly roof is a more expensive option due to the need for box gutter detailing, engineering requirements, and the difficulty of installation. This roof shape resembles the wingspan of a butterfly and consists of two planes that slant down towards each other, instead of away from each other. It eliminates the need for a traditional gutter and downspout system, as rainwater drains into the central trough where it can be harvested or drained away. Green - also known as a living roof. The green roof is a flat or pitched surface planted partially or completely with vegetation, over a soil-covered waterproof membrane. These roofs can absorb and redirect rainwater, provide insulation, create a habitat for wildlife, and help to lower urban air temperatures. Finally, one of the biggest choices you need to make for your roof is what it will be made of. Metal roofs are very popular on homes in Australia. The main advantage is that it's environmentally friendly and can contribute to environmental sustainability. This is because most use recycled materials. Its main disadvantage is that it can rust. Blends of zinc, silicon, and aluminium can be used for metal roofing. This type of material can also be known as galvalume or Zincalume. Decramastic roofs consist of pressed metal sheets covered in a bitumen compound embedded with stone chips. For conditions here in Australia it’s generally a bad choice (this is why it was discontinued, but some older homes still have these kind of roofs). On hot days, you will find you can’t walk on the roof without the surface sliding under your feet (because the bitumen gets soft). Metal Roof replacement is the best choice for those with decramastic roofs, as even restoring them doesn’t stop problems occurring in the future. Much more advanced metal roofing choices are gaining popularity in Australia. The choice of coating depends on the weather conditions in different parts of Australia, but heat is the main consideration. The coating on metal roofing is usually a clear coating and ceramic coating. At Roo Roofing, we can supply metal roofing products such as (but not limited to) Colorbond, Zincalume, Galvanised, and Stainless Steel. Painted polyester coated steel such as Colorbond works well with contemporary or lightweight house and is great for homes in regional or beach-side environments. Colorbond comes in different grades; the one that is right for your home will depend on the air environment around your property. With a combination of zinc and aluminium and an added protective coating, the roofing is meant to last 100 years with proper maintenance. It also weighs little and is weather efficient. If energy efficiency is also one of your concerns, Colorbond utilises its patented Thermatech technology, which can help you reduce your cooling costs. In summer, a lightweight insulated roof made from Colorbond causes less heat to be radiated into your home. It has a low thermal mass - so it cools down fast once it's no longer in direct sunlight. In winter, the same metal roof (properly insulated) helps keep heat inside. Meaning ‘baked earth’ in Italian, terracotta is a natural clay product that has been used throughout the ages for protection against the elements. Terracotta tiles are a very popular roofing type in Australian, but they can be an expensive option compared to concrete tiles. Terracotta tiles are hard to beat for their good looks and durability. They're available in many different profiles and colours. Terracotta roof tiles are also a great choice when it comes to energy efficiency because their natural density helps to even out temperature fluctuations. They do this by storing and then slowly releasing retained temperatures during the day and night. Roo Roofing can help with terracotta tile roof restoration, with the help of our supplier Bristile for high quality terracotta tiles. Also a popular choice in Australia, concrete tiles are durable and can last for more than 50 years. Bristile creates concrete tiles that have similar profiles to terracotta tiles, but are a cheaper option. They are also the chameleons of roofing - they can be created to resemble many other styles and materials. Concrete roof tiles also play a big part in controlling internal temperatures and reducing energy consumption. An energy efficient home is one that provides a high level of thermal comfort without an over-reliance on artificial heating and cooling. However, concrete tiles are generally more porous and don't have the same luster as terracotta. They can also fade quickly in comparison to terracotta tiles, due to the paint only being applied to the surface of the tile. We hope you enjoyed our mini-guide to Australian roof types and we hope you got some great ideas about which roof to choose to suit your home and style. Need some more guidance? You can book in a free consultation with us by following this link.